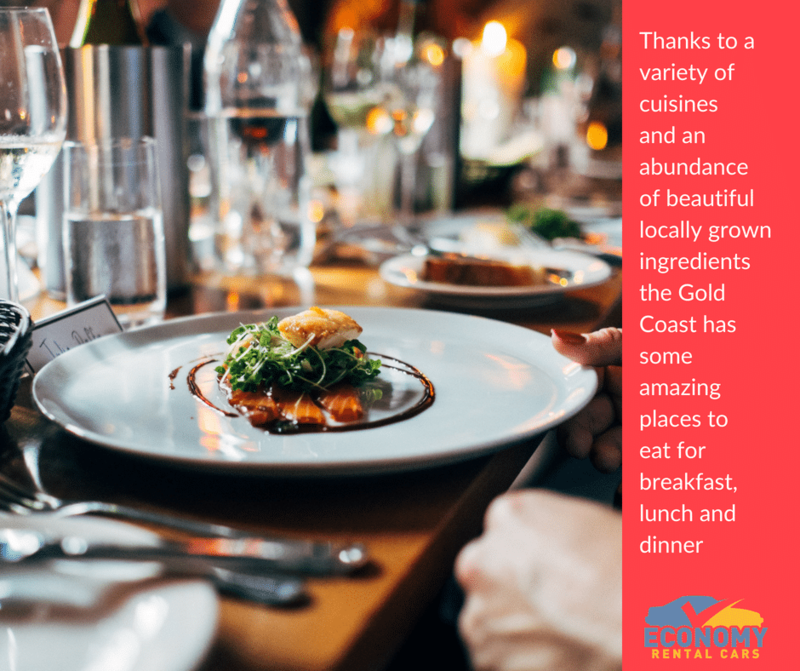 One of the questions we get asked is “Can you recommend a great place to eat?” Thanks to a variety of cuisines and an abundance of beautiful locally grown ingredients we think the Gold Coast has some amazing spots to go for a bite. Whether you want a cheap eat or 5 star dining we have our favourite places to eat for breakfast, lunch and dinner while on the Gold Coast. This local bakehouse has everything from good coffee to great pastries, all baked on site daily. You’ll need to get in early as their famous croissants in flavours like raspberry, snickers and almond sell out before midday. Set in the heart of Burleigh, this restaurant is a fusion of Vietnamese with an Australian influence, drop in of a Sunday when they have a 6 course share style banquet for $75 including bottomless beer or bubbles. Bookings are essential, this is a Economy Car Rentals favourite, one not to miss! If you’re looking for a great ‘cheap eat’ The Island is a great place to drop in for lunch with their $10 weekday lunch menu, you’ll find the hardest thing; is choosing what to eat, you can pay $15 and upgrade to a meal and a drink! If the ‘Surf’ is more to your liking you can’t go past the famous seafood buffet found at Citrique, at the Surfers Paradise Marriott Resort & Spa. You can’t get more locally caught than right out of the QLD ocean with prawns, sweet fleshed bugs, Tasmanian salmon, plump oysters & spanner crab. With recommendations on places to eat, things to see and where to stay the information you’ll get from the friendly staff at Economy Car Rentals comes free. Book your rental car through us and enjoy excellent customer service and local knowledge of the great area we call home.